Academy 1st XV beat Randalstown at Roughfort 21-15. Report to follow…. 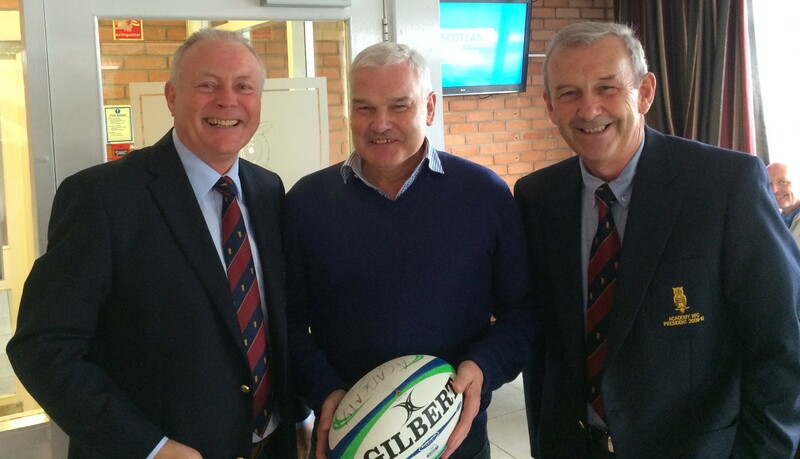 Academy RFC Club President Ray Cromie and Past President David Haslett with Stephen Orr – J W McNinch & Son pre match lunch sponsors. 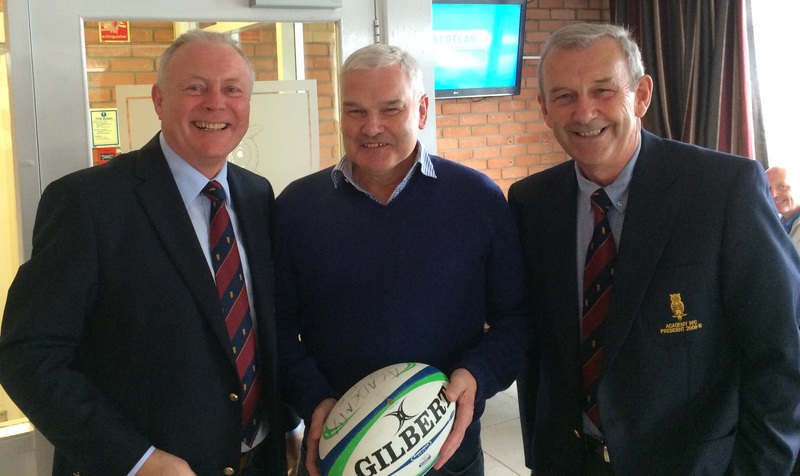 Match ball sponsored by Men-Dell – Adrian Brown. Academy 3rd XV lost to UUC 3rd XV 29-13 – Match Report.